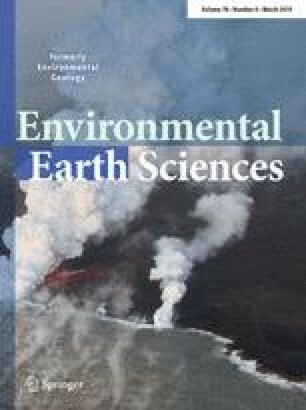 In this study, the performance of the MODFLOW and WhAEM models in determining the protection zone of drinking wells for travel times of 2, 5, and 10 years were evaluated. In addition, the effects of the changing pumping rate on protection zone were evaluated. For this purpose, the groundwater flow in the NjafAbad aquifer was simulated by MODFLOW, and then, using the MODPATH code, the protection zones of four selected wells were determined for travel times of 2, 5, and 10 years. Furthermore, by simulating the groundwater flow with WhAEM model, the protection zones for selected wells were determined by this model. The results showed that, according to the conditions, including the complexity of the geologic setting, sensitivity and importance of the region, and the availability of data in the region, both models could calculate the protection zone of wells, accurately. According to the results, the zones calculated by WhAEM model are always less than the zones calculated by MODFLOW model. In other words, the calculated zone by WhAEM does not consider some parts of the protection zone, which was calculated by the MODFLOW model in the upstream. This will increase the risk of contaminants entering the upstream side of wells. However, as WhAEM model is a user-friendly model and if there is no accurate information on the status of regional hydrogeology, with less cost and time consumption, the model performance is better than the MODFLOW model. Therefore, the WhAEM and MODFLOW models are efficient tools for determination of the protection zone of drinking wells, which is essential in water resource management. The online version of this article ( https://doi.org/10.1007/s12665-019-8204-5) contains supplementary material, which is available to authorized users.